Post Office Directories are invaluable for locating a person at a place in a particular year. They often provide their occupation, which is very useful for researchers as well. Many have an alphabetical listing of names as well as locality. The entries in directories are only as good as the agents who went around, door to door, collecting the information. Sometimes they used different spelling from year to year, sometimes they missed houses, or nobody was home to provide the material. In some instances, the names did not appear in every year that was published but we have endeavoured to cover the span of time that a person may have been in the area. 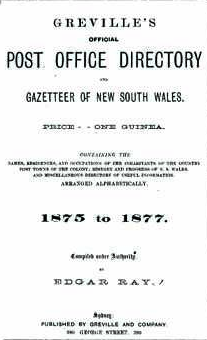 We have included 3 different directories which have relevance to the Western Goldfields area. It is worth browsing the lists as people moved around the goldfields during this period. 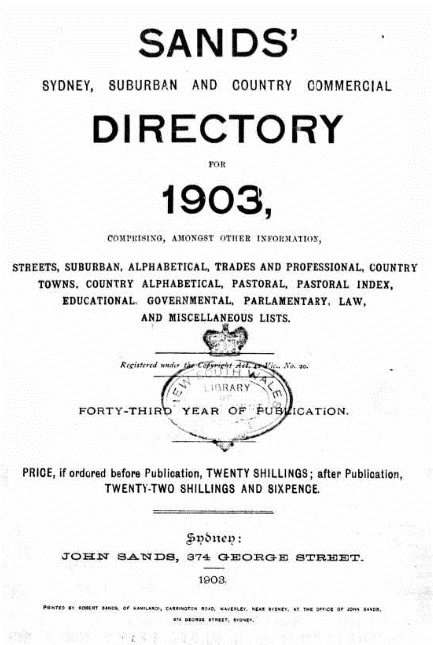 This directory is available online in two volumes: alphabetical listing by names and by locality. 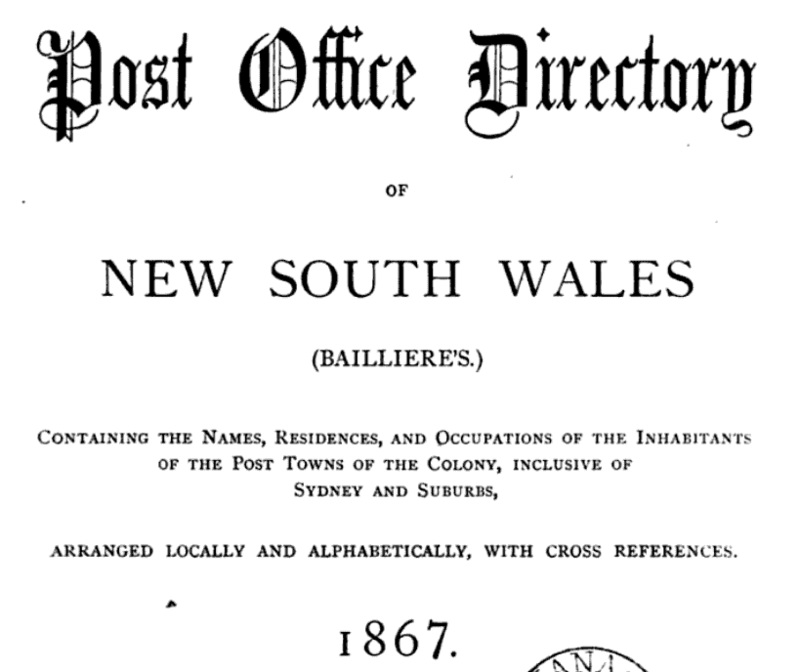 The locality issue is listed by Post Office area and we have extracted the entries relevant to the Western Goldfields. As services were scattered in 1867 it is worth browsing neighbouring areas as well, when looking for ancestors. A complete listing is available online. For convenience we have extracted and combined the entries for Hill End & Tambaroora from the 1872 Directory. Our volunteers have extracted and combined the relevant entries into one list. View this list covering Hill End, Tambaroora and Sallys Flat from 1903 to 1932-33 here.